The resort is situated on the northern slopes of the Mousala ridge in the eastern part of Rila , at an altitude of 1350 m. Borovets Mountain Resort is 10 km from Samokov, 73 km from Sofia and 125 km from Plovdiv. The resort combines the architectural style of old chalets and the modern hotels. It was well known as resort as early as last century. The region of Borovets was one of the preferred hunting places of the Bulgarian kings. The skiing season lasts from December to April. The average temperature in January is about 4C. Skiers of all levels of ability can find those appropriate for them to utilize. 58 km of marked pistes cover the north facing slopes up to an altitude of 2560 m in three different Sitnyakovo - Martinovi Baraki - pistes; Markudjik- 4 pistes and Qstrebec- 3 pistes.. The longest run is a gentle 12 km return to the resort along the maintenance road. he lift infrastructure of the resort is very well developed by drag lifts, baby tows, seat chain lifts, plus a gondola lift. 1 six-seat Gondola lift, 2 High Speed Quad Chair lifts, 1 Fixed Grip Quad Chair lift, 10 Surface ski lifts and 9 tow lifts. As for the 6 persons gondola lift, it takes you to the Yastrebets peak on 2363 m above sea level. The difference in altitude is approx. 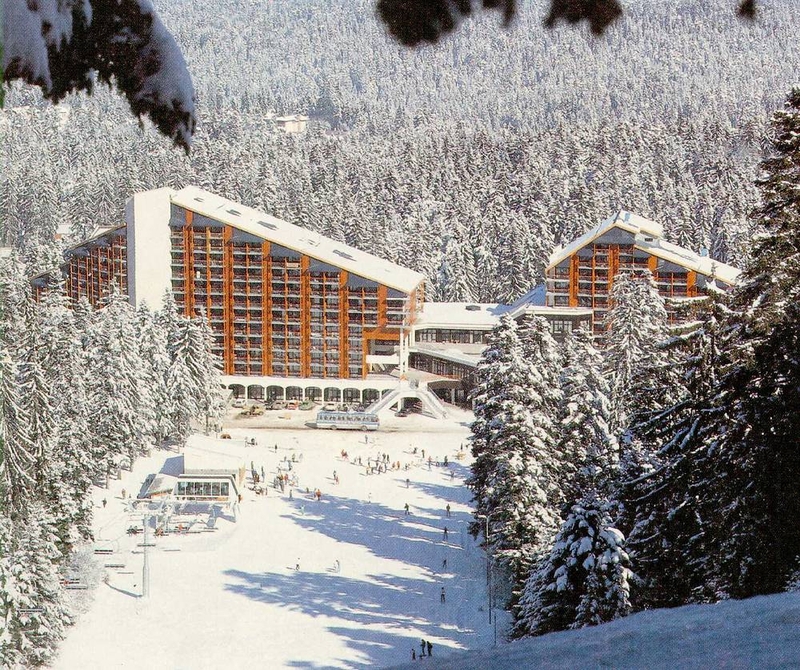 1046 m and length of route is 4827 m.
Borovets has twice hosted World Cup competitions in Alpine skiing. Its biathlon track is one of the best in Europe. Borovets is a resort of Alpine type and provides very good conditions for snow sports during the winter: skiing, night- skiing, snowboarding, cross-country skiing, ski jumps and biathlon. If you are a guest of Borovets, however not a skier, you should visit the palace "Carska Bistrica" which is just 10 miniutes walk from the new center of the resort; following charming places in Rila: Mt. Maliovitsa and Mt. Musala; a visit to the Rila Lakes is a must - the serenity of the places. We would also recommend the world famous Rila Monastery (a UNESCO World Heritage Site) or the busy city of Sofia for sightseeing or shopping.